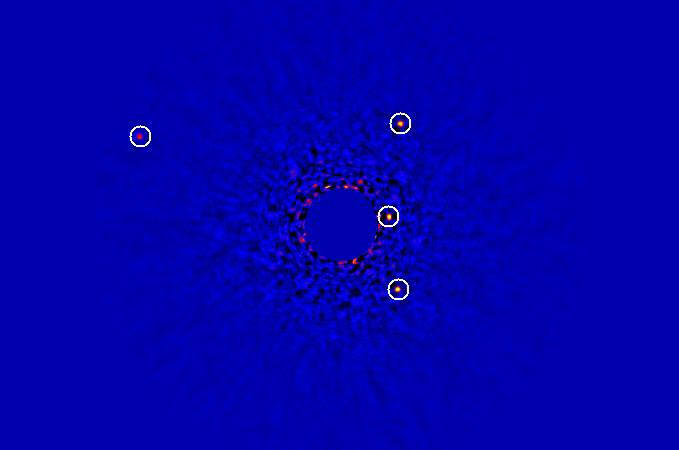 This image shows the star and multiple planet system HR 8799. This week on Stargazer there are several planets we can look for, plus we’re learning about a new joint mission to a planet you often don’t hear about on the exploration front, and even the partnership between countries may surprise some, as HPR All Things Considered Host Dave Lawrence speaks with Christopher Phillips. This week on Stargazer we’ve got three planets to try and spot in our dark island skies, plus we’re learning about the next phase of a space exploration training mission getting underway here in the Aloha State as HPR All Things Considered Host Dave Lawrence speaks with Christopher Phillips. This week on Stargazer we hear about a few objects to look for in our dark island skies, and learn about the birth of a star as HPR All Things Considered Host Dave Lawrence speaks with Christopher Phillips.